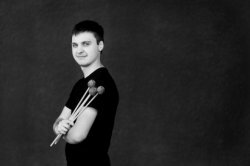 I'm a freelance orchestral percussionist and percussion/drum kit teacher based in Central Manchester. I teach all aspects of percussion, including drum kit, orchestral percussion, jazz and classical tuned percussion (vibraphone and marimba) and world percussion. I recently graduated from the Royal Northern College of Music with a 1st class BMus(hons) in performance (Orchestral percussion and timpani). Solo percussion and chamber ensemble recitals across the country. I have been teaching music for several years, both privately and in schools/music services. I believe that learning percussion should be fun and enjoyable for all ages. Percussion is the perfect instrument to study if you want to learn about all styles of music, not only from our culture, but from cultures from around the world. This can be especially useful for school children, as lessons can be structured to match the cultures they learn about in curriculum lessons, but even as an adult it can provide an interesting insight into world culture. Being a percussionist, rather than solely a drum kit player, I can offer students tuition across all styles of music and all types of percussion instruments; from rock drum kit to classical marimba, orchestral snare drum to African djembes! I have a large collection of professional quality percussion instruments which I use regularly in my own performances. I prefer students to travel to me for lessons so they can have access to all of these for their lessons.